Disturbed by Smriti Irani’s Decision, IITian Files Online Petiton: Country Shows Support! We have read numerous articles across the media regarding the opening up of many new IITs. Though there can be some advantages but the disadvantages outweigh them all. For those who don’t, this is what the picture is: In keeping with Prime Minister Narendra Modi’s wishes to establish an IIT or IIM in every state of the country, Human Resource Development minister Smriti Irani plans to open eight new IITs across the country soon. Though the country has opposed the notion in unison, but it seems that the minister is still oblivious the voice of the public. Not even just the masses, but the IITians themselves do not support the idea in majority. A third- year student of agricultural and food engineering from IIT Kharagpur, Digvijay Singh Patil has of late initiated an online petition on the website Change.org, thus disagreeing with the minister’s ideas. The petition say that at this point in time new IITs are not the immediate need of the education sector in our country. Instead of setting up eight new IITs, he (Digvijay Singh) wants the miniter, Smriti Irani, to focus on facilities and faculties of existing IITs. The current state of many new IITs, which were set up in 2009, which are the newer IITs, is pathetic. In those institutions, many departments don’t even have even faculties. So far this petition has received about 8, 931 signatures. Digvijay, who is interning with Nippon KOEI’s research and development centre in Japan for the time being, started the petition two weeks ago, when he has read about the minister’s plans on an online source. Digvijay further added that many of these IITs do not even have their own campus and infrastructure right now, which means they are operating from other institutes. The mechanics behind the petition goes like this- Every time the petition is signed by a person, a notification email is sent to the official id of the HRD ministry. Smriti Irani’s initiative to establish new institutes could require an expenditure of at least Rs.25, 000 crore, which is really disturbing as per the status of current IITs is considered. Till now, the calls and emails to the HRD minister on the matter have gone unanswered. 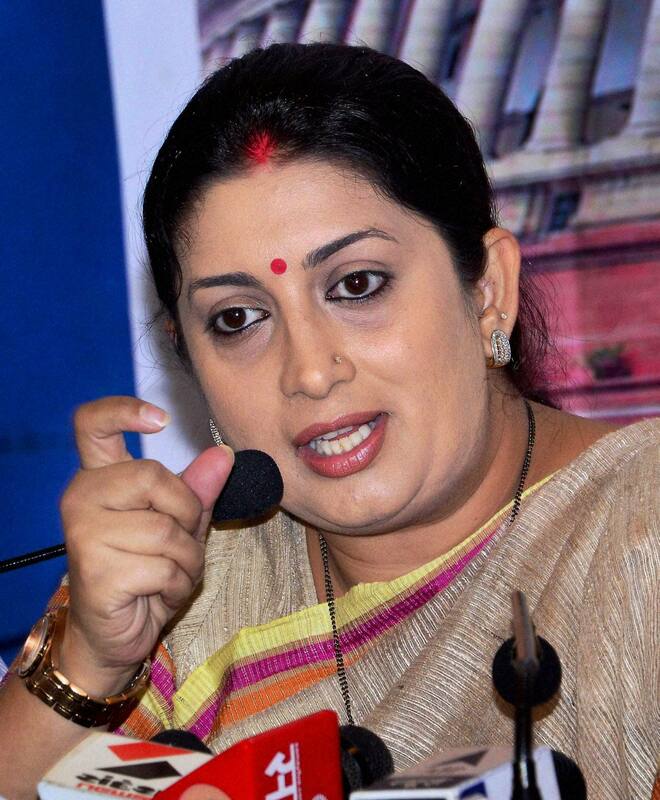 Smriti Irani lists IITs, IIMs in Every State! Where are We Heading To? As private universities beat IITs in quantity of research papers, what say Ms.Irani? Why is Smriti Irani’s Proposal to Set up New IITs in The country a Bane in Disguise? “Do you agree with Smriti Irani’s decision to set up even more new IITs”- Readers and their Interesting Opinions in our First Poll Results! Letter to Smriti Irani: Madam, some open ideas for you! Time Out Ms. Smriti Irani, Now Hear Our Say! « 6 IITs, JNU and Punjab University in the Top Asian Institutes: Some Happy News for the Education Sector Finally!